Day 4 of London Trading Standards Week (25-29 September) is focused on how Trading Standards can provide support for businesses across London; protecting Londoners from poor business practice and helping good businesses to thrive. The key message is ‘Open for business – here to help’. 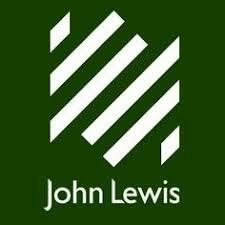 John Lewis and other businesses in the capital have praised Trading Standards for the support they have provided and the benefit to their businesses. “Our Primary Authority partnership with Greenwich Trading Standards has been a real success. The Trading Standards Officers are very knowledgeable about our business and always on hand to offer help and advice. The bi-annual meetings help to ensure we are kept up to date and fully compliant with consumer regulations. Our partnership gives our stakeholders confidence, saves us time and money and means we can focus on running the business”. A recent example of how Trading Standards work together to support businesses is a poster developed by the London Borough of Islington. This advises businesses about selling corrosive substances responsibly and is in response to the recent spate of so called ‘acid attacks’ in London. Sharing this initiative ensures that consistent advice is provided across London. Another example is how Trading Standards officers advise shop owners about how to reduce knife theft and underage knife sales. Boroughs with local business partnerships on this subject include Bromley, Croydon, Greenwich, Lewisham and Southwark. London Trading Standards are now looking at further developing their partnerships with local businesses through the Better Business for All programme. Better Business for All (BBfA) is a partnership approach developed by Regulatory Delivery (part of the Department for Business, Energy & Industrial Strategy) which supports business growth and brings together local regulators and businesses. “We are excited at the prospect of exploring various options with Regulatory Delivery to build a ‘better business for all’ across London. We welcome the opportunity to promote the support we can offer to local businesses”. “In order to create the right conditions for economic development and business growth, the way in which regulation is delivered needs to be taken into consideration. That means looking at the approach taken to inspections, visits, advice and enforcement”. “By understanding the pressures that local businesses face, regulatory officers can offer solutions that are appropriate to a business’ circumstances”. With more businesses becoming compliant as a result of these initiatives, trading standards resources can be effectively targeted at the non-complaint and rogue businesses. The aim of London Trading Standards Week is to promote and raise awareness about the wide range of work carried out by Trading Standards Services across London. Further details about the rest of the campaign can be found here.